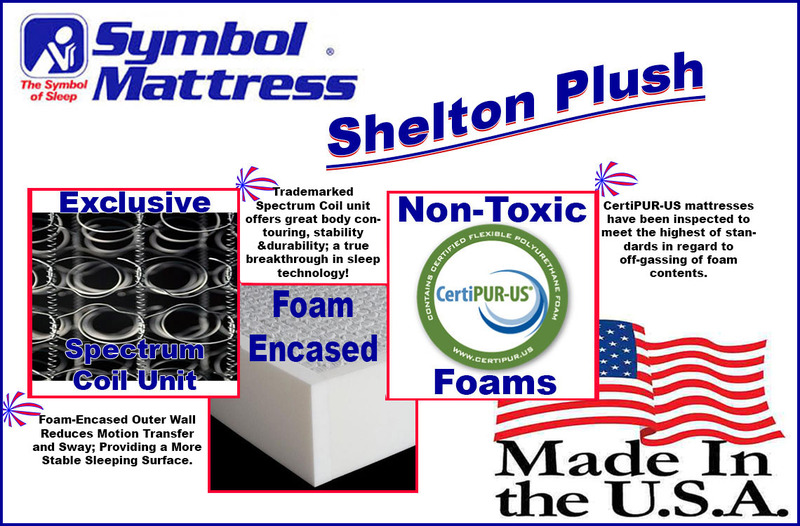 As with all Symbol Comfortec Mattresses, the "Shelton Plush" offers some of the world's best materials and features, at a relatively low price point. Right around "medium" in feel, the Shelton Plush has nearly four inches of quality buildup on top of its trademarked Spectrum Coil, Tri-Zoned innerspring system. 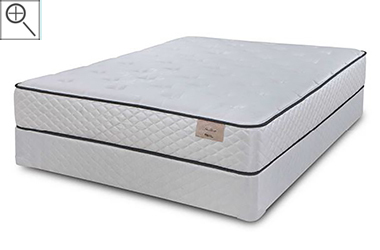 From a trusted brand and line by an American maker, this is a basic spring mattress but one that offers a slightly upgraded coil unit, thick foam encasement around its entire perimter and both HYPERSOFT and Convoluted Foam layers. For the value-conscious shopper who prefers a more traditional mattress type, the Shelton is probably one of the best choices they can make. Available in both custom(odd) and standard sizes, this mattress is composed of all CertiPUR-US foams (non-toxic) and it carries a ten year, non-prorated warranty. 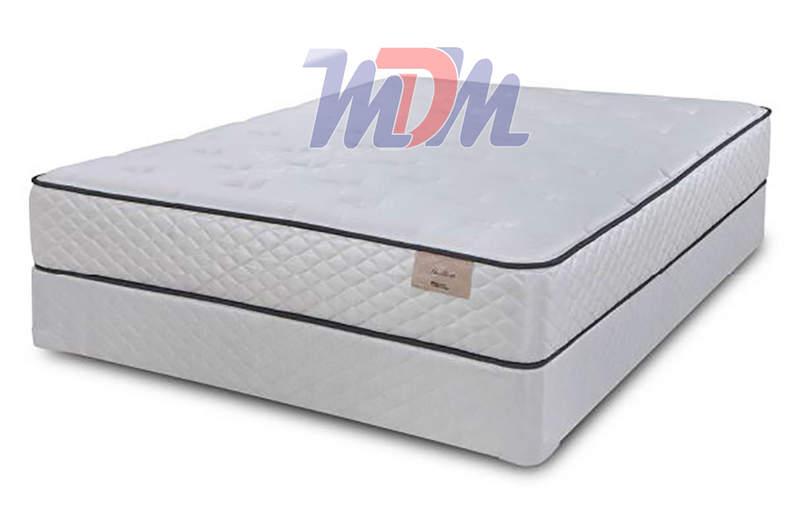 The Symbol Comfortec "Shelton Plush" mattress is more in the medium feel range and features Symbol's trademarked Spectrum Coil unit. (this is a durable, body-contouring but affordable tri-zoned innerspring support system). It's another great product that's offered at a below-medium price point and that offers a lot of value. Foam encasement negates most of this model's motion transfer so, you won't feel the uncomfortableness of too much bouncing or the impact of a partner getting in or out of the bed. While it contains some state-of-the-art materials, the Shelton line of mattresses has an "old school" type of build that is focused on longevity and comfortable simplicity. A plush feel mattress is going to offer support but also a reasonable amount of buildup atop its spring unit. Traditionally, it's the feel range that's directly between the firm version of the model and the softness of the pillow top variation.